This year, our area of Western North Carolina is the place to be in early May if you love food and local art! First off, on Thursday, May 2, the Black Mountain-Swannanoa Chamber of Commerce will be hosting the delicious Taste of Black Mountain event from 5:30pm to 7:30pm at the White Horse Black Mountain entertainment venue. Tickets are available through the Chamber/Visitor Center (828.669.2300) and are $20 if purchased in advance. This year, the Taste of Black Mountain event is called Rock the Taste! as part of Black Mountain’s “Little Town that Rocks” campaign to help build the Town Square, which will include green space, a market place and public parking. Artist Reception (Friday, May 3): Meet some of the artists and preview featured works at an artist reception, which will be held at the Monte Vista on State Street from 5pm to 9pm on Friday, May 3. Art Exhibit Opening (Friday, May 3): Red House Studios and Gallery, home of the Swannanoa Valley Fine Arts League, will present the opening of “New Beginnings” on Friday from 4pm to 6pm. “New Beginnings” features art inspired by the essence of Spring, including but not limited to birth, renewal and reawakening. E.A.S.T. Studio Tour (Saturday-Sunday, May 4-5): Hop in your car and take a free self-guided tour of artists’ studios, where you can meet the artists and view their work in the place where it’s created on the E.A.S.T. Studio Tour, now in its seventh year. Hours are Saturday, May 4, from 10am to 4pm and Sunday, May 5, from 11am to 5pm (as offered per individual artist). 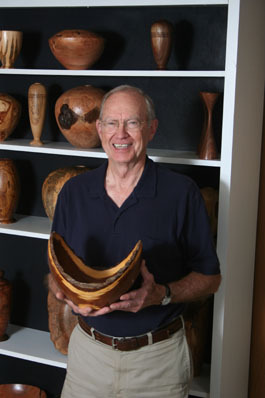 The Tour extends from the Blue Ridge Parkway eastward, and includes East Asheville, Fairview, Swannanoa, Black Mountain, and the new Arrowhead Gallery and Studios in Old Fort. 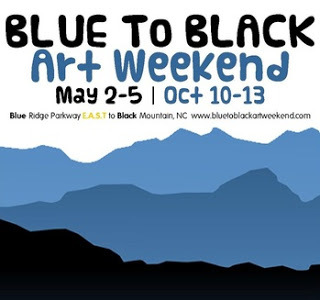 Blue to Black Art Stroll (Saturday-Sunday, May 4-5): A new event, the Blue to Black Art Stroll, is a free walking tour of art venues and galleries in downtown Black Mountain. Participants include the Red House Studios, AnTHM Gallery, the Monte Vista, the Merry Wine Market, the Sourwood Gallery, Black Mountain Quilts, Black Mountain Ironworks, and many more. Hours are Saturday, May 4 (10am to 7pm) and Sunday, May 5 (11am to 5pm), with Open House Artist Receptions will be held at each participating venue/gallery from 5pm to 7pm on Saturday. Sound fun? Check our availability and plan a visit to the mountains of North Carolina at one of the most scenic times of the year! You’ll get to see both beautiful mountains and beautiful artwork. This entry was posted in Uncategorized and tagged art, Asheville, Black Mountain, festivals and special events, food and drink, Old Fort / Andrews Geyser, Swannanoa by Inn on Mill Creek. Bookmark the permalink.